The new T59 Solo Table lamp is a versatile addition to Martin Huxford's successful T59 series of Modernist lighting and console tables. The design focusses on the arrangement of simple curves and circles, to create a feeling of lightness and balance. 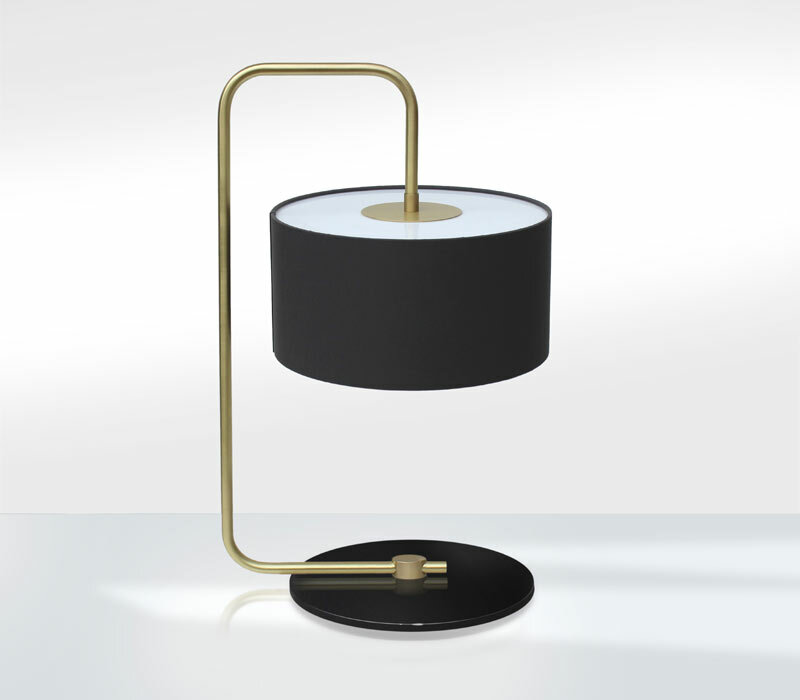 The wide cylindrical fabric shade and circular base are connected by a curved line of tubular brass. A sense of space is created by this graphic arm as it over-reaches the base, then arches back to support the central shade. With each light made to order at our Sussex workshop, we offer a choice of custom arm finishes in hand finished brass or bronze and a wide selection of powder coated RAL colours. These can be co-ordinated with a choice of shades from our stock colours. Finishes: Available in satin brass & black, antique brass & black, bronze & black. 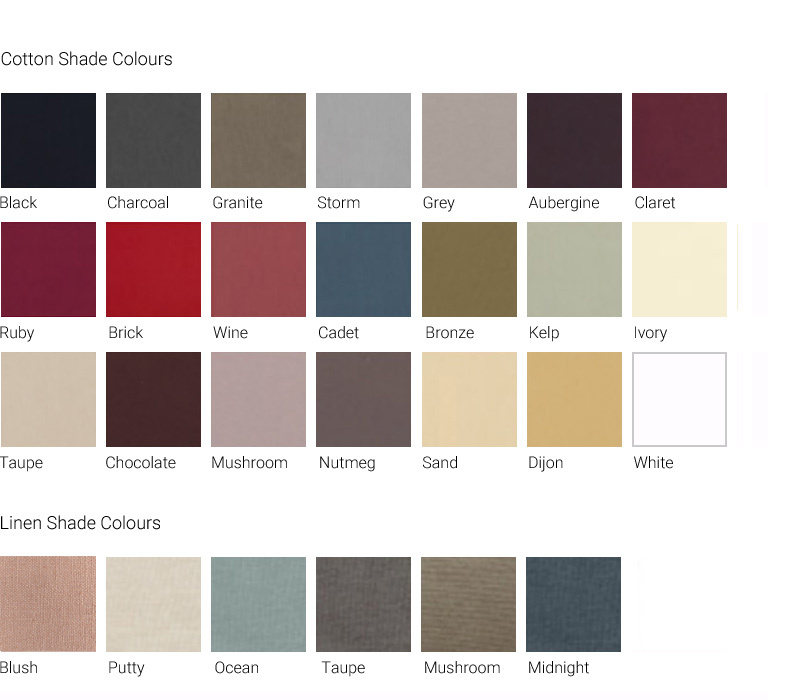 Choice of fabric shade colours. Acrylic diffuser with central brass disc. Sign up for our Newsletter to hear about Martin Huxford's latest designs, studio news and showroom events.